Best Western Plus Baker Street Inn Hotel Blog: That’s Amore: Marzano Pizzeria and Wine Bar Opens at the Baker Street Inn! That’s Amore: Marzano Pizzeria and Wine Bar Opens at the Baker Street Inn! Best Western Plus has a history of providing amazing service to our valued customers, and we hold the food we eat to the same high regard. Our Chef and Director of Food and Beverages took a trip recently to Naples, Italy - the birthplace of pizza. There, they gained inspiration to bring the authenticity and homely feel of Italian food to Nelson, BC! 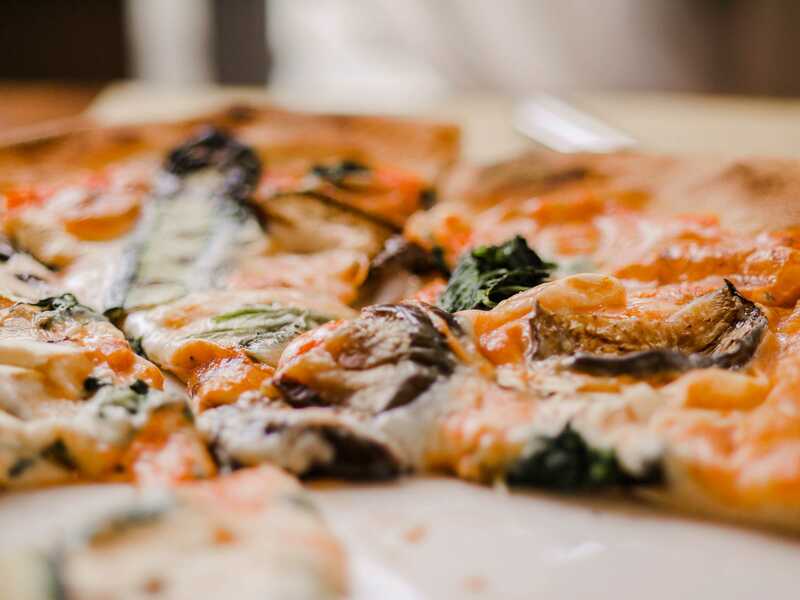 Gone are the days of dry, doughy pizza, with more bread on it than toppings - The Baker Street Inn is proud to present their very own modern Marzano Pizzeria and Wine Bar! This gourmet ‘vine to table’ restaurant uses only the highest quality San Marzano tomatoes from the Napoli region, as well as wine and beer from local breweries. Their menu features delicious ‘aperitifs’, salads, pastas, pizzas, main courses and of course - authentic gelato. On top of the mouth-watering food, the Marzano restaurant also offers a refreshing decor and friendly staff - perfect for everything from a casual breakfast to a romantic dinner. Lastly, but certainly not least - our cappuccinos are sure to please even the most particular of the coffee snobs. So if you’re in a rush and can’t get food, at least there is coffee! After indulging in world-class Italian comfort food, we invite you to wind down at our fitness center and hot tub. If you’ve been travelling for an extended time, we recognize the inconvenience it can be trying to find a reputable laundromat, which is why we’ve also provided a guest laundry service! This way, you can either relax in your suite or take a leisurely stroll through Nelson’s historic Baker Street! We hope that we can make your trip to Nelson, BC, a comfortable and memorable one.